Would you like to have urbantomato seedlings growing in your garden? Well, you can! In the parking lot at the corner of Hunter and Water St. There will be loads of tomatoes & pepper varieties for sale. Some flowers & herbs as well. Seeds for greens & flowers too. Breaking News! A good friend is brining a selection of perennial plants from her beautiful garden. 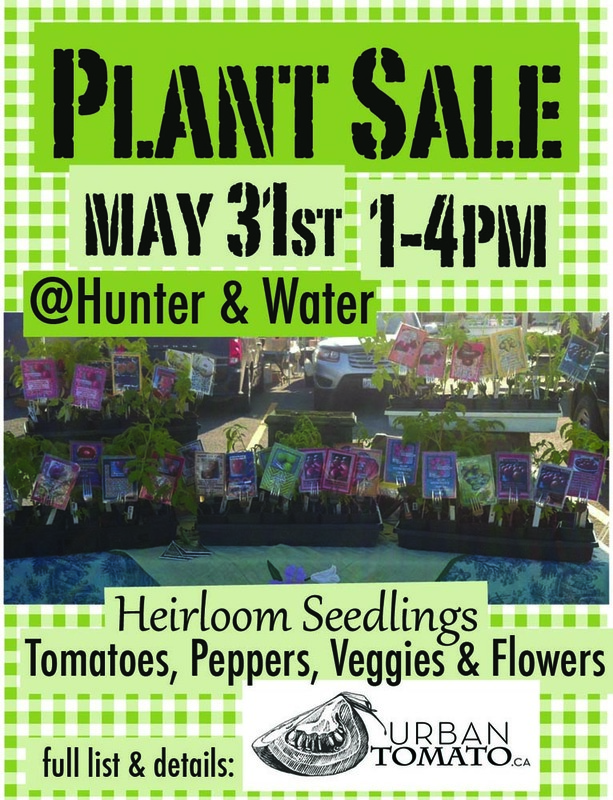 There will be hostas and other well established perennials for sale. Some herbs & pumpkins too! Check out the post below for a full list of the heirloom tomato, pepper, flower, and other veggie seedlings available.